AS Monaco is one of the three 7DAYS EuroCup newcomers this season, which means a new challenge for a club that represents the principality on the beautiful French Riviera. With a population of under 40,000 inhabitants, Monaco is one of the smallest countries in the world. One of those people lucky enough to live in Monaco is Yakuba Ouattara, a 26-year-old guard playing for AS Monaco, nicknamed "Roca Team". 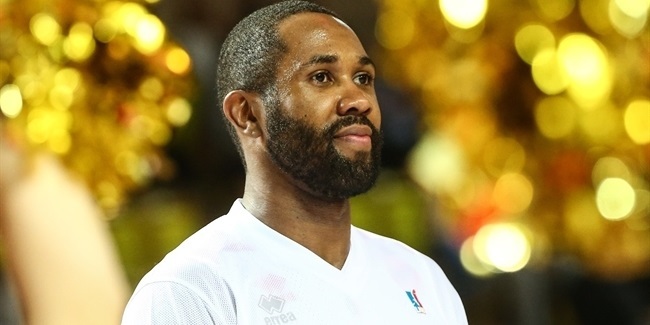 Ouattara already played the EuroCup with Elan Chalon-sur-Saone in the 2013-14 season. He played a couple of seasons in Monaco and returned to the club last spring for a second stint with the team. 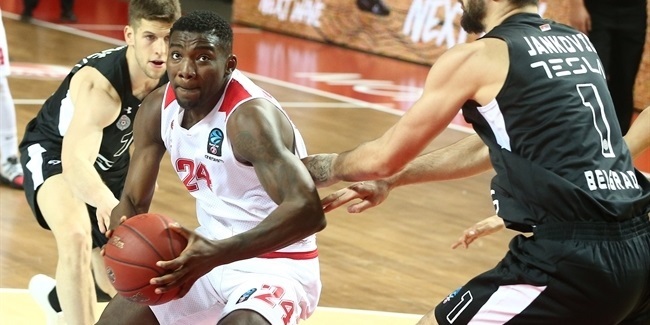 In this blog, Ouattara will tell us all about his team's exciting EuroCup debut season and of course, life in one of the most talked-about, wonderful places in the world. The EuroCup has started! We played our first game ever in the EuroCup and got a road win in Brescia. We started the way we wanted to, and everybody was excited because it was Monaco's first game in a new competition. We really wanted to do well and got a big victory on the road, so we were really happy about that. We played really good defense and that was the biggest key; it's our identity as a team. No matter what, we have to play hard defense. 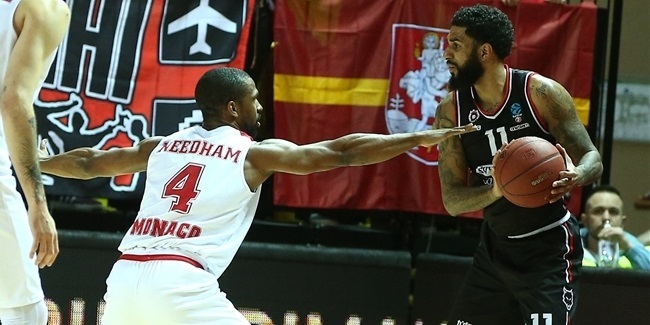 "People are very excited about our first EuroCup home game." On offense, Elmedin Kikanovic had an incredible game. I think he is one of the best big guys in Europe because he can score against anybody! When we give him the ball, we scores two points almost every time. He is very underrated and one of the best big man I have played with. It looks like he doesn't dunk in games, but he is capable of doing it, of course. He does it in practice. He is not a high-flyer but Elmedin is a very good player, and that is what matters most! So now we play our first home game against Eldemin's former team, Crvena Zvezda. We started working on this game as soon as we finished our domestic league game against Nanterre. We really want to do well in front of our home crowd but we all know Zvezda is a tough opponent and it is going to be a very difficult game. We are all excited and ready to fight for this win. I don't walk that much on the streets of Monaco but according to what I saw in our last home game, I can tell people are very excited about our first EuroCup home game. It is something new for everybody! Hopefully Albert II, Prince of Monaco, will be there to support us. He is a big basketball fan! He loves basketball and in recent years has come to several games. When we do well or win a title, he invites us to the palace to see him. He really loves sports and is a good guy. The greatest thing about Albert II is that you can talk to him the same way to do to somebody else. Hopefully he will be there to see us win! It would be our second win in as many games. I am really excited to be back in the EuroCup. I already played the EuroCup with Chalon-sur-Saone, but I was a very young player and only got a few minutes per game. It was the first time for me that I was really on the court at this level. The EuroCup is the second competition in Europe and it is a very exciting challenge. For us, our biggest goal right now to try to make it to the Top 16. If we want to do that, we have to go game by game and keep improving as a team. If we can improve the way we want to, we will be a very good team. There are very good teams in this group like Zvezda, Galatasaray and Andorra, but if you want to be a big team, you have to beat all those big teams. "Our biggest goal right now to try to make it to the Top 16." No matter what, we have to do the best we can. Everybody who plays in the EuroCup wants to show that they belong to this level, to be good in this competition. We have a good team and a great coach, Saso Filipovski, who can help us a lot with his experience. He knows a lot about this competition and it is great to have a coach like that who can lead this team. It is great to live in Monaco; not a lot of people get to live here. We have the sea, the sun and pretty much every day is sunny. You just have to play good basketball and everything else is OK. There are a lot of famous people here, but I am not walking around a lot. I spend a lot of time in the gym, working on my game, and we travel a lot to play on the road. I know famous people are here, though, hiding somewhere! Last year, I went to the Monaco Formula 1 Grand Prix and it was an amazing experience! There is a lot of excitement about this event and Monaco changes a lot during this event. People are in the streets a lot and it is a big party. People from all over the world come to Monaco to watch the Grand Prix. If we do well in the EuroCup, our basketball games will be big parties, too, and that is the goal! We want to bring excitement to the people and make them happy. So, Monaco fans, we are the Roca Team! We are ready to give everything we have, more than 100%, for our club and our fans. So, come see us against Zvezda, it will be a lot of fun!